Certain patterns occur throughout all life forms: these arise from the basic energetic templates that underlie all living things. 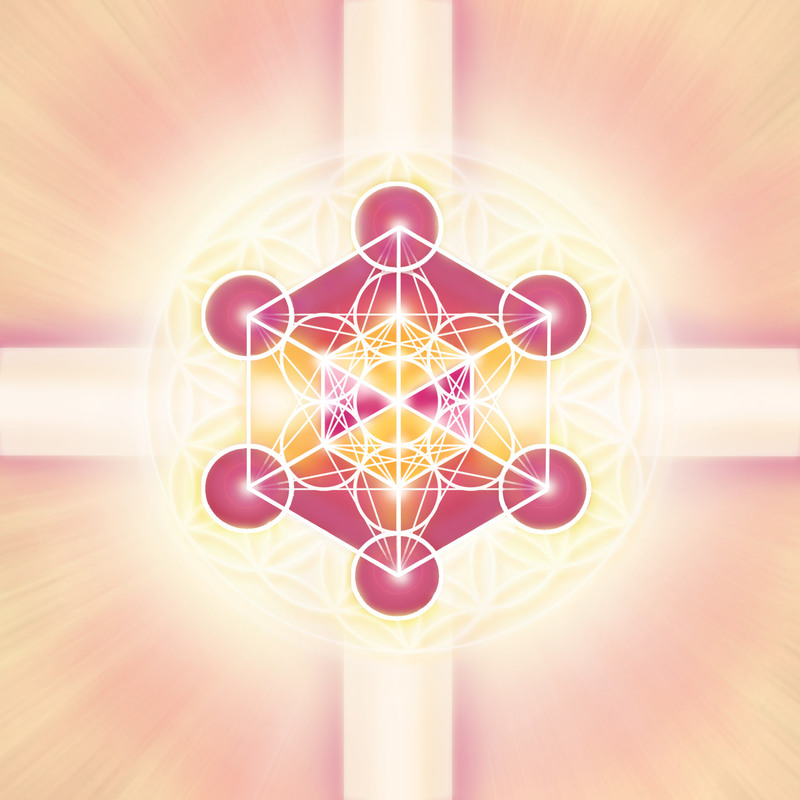 Sacred Geometry implies that this is not random, but arises out of the laws of geometry as the energies of Creation step down and organise themselves into form: thus it is a universal system, which can be seen throughout the natural world – in flowers and fruits and snowflakes. As everything in nature, from the microcosm of atoms to the macrocosm of the universe, is composed of patterns and designs, these structures unite the complementary forces of spirit and matter, mind and heart, reason and intuition. The sacred and universal laws of geometry are therefore found also in the workings of light, of music and of the whole cosmos. One aspect of Sacred Geometry is the five Solids which were first identified by Plato and known throughout the centuries as the Platonic Solids. As the Being who folds spiritual energy down to form matter – or the Light beneath matter – Metatron has been seen by mystics through the ages as the Source of these fundamental shapes, the templates beneath life: in his role at the top of the Tree of Life, ‘charged with the sustenance of humankind’, he has been described as giving those forms from his soul, through Metatron’s Cube.